The Vortec Thread Guard was designed specifically for industrial sewing applications. It keeps needles cool to reduce heat-related needle breakage and thread burning. The air stream is especially effective on difficult sewing surfaces such as belt loops and waist bands; or on tough materials like denim or canvas. 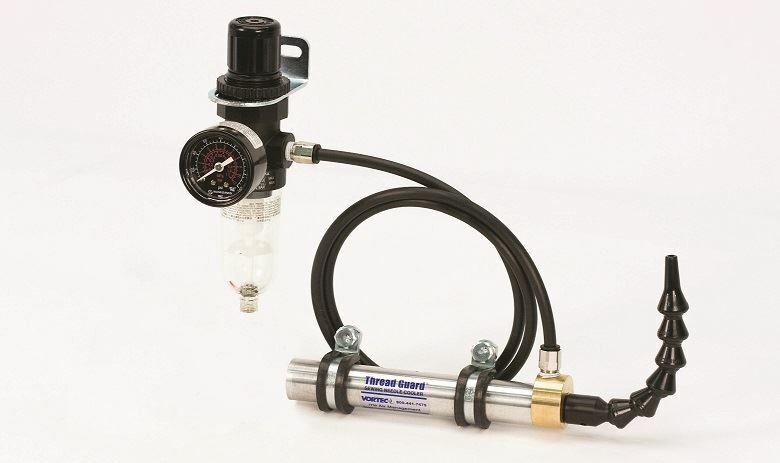 Cold air temperature and flow rate are preset to 10 degF and 4 scfm.